Paradise Village is a one of a kind retirement community situated along the Tanjore - Kumbakonam highway, in a 3-acre plot along the banks of the Arasalar River. Built and managed by Paradise resorts, it provides aesthetically furnished senior friendly cottages and all the services that we have come to expect from high-end resorts. 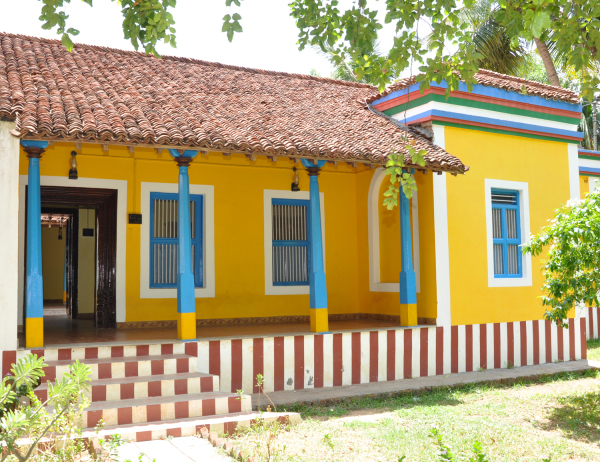 It is ready for occupation and consists of 25 cottages, built in traditional South Indian style, capable of accommodating around 50 elders. There are independent cottages and row cottages. All are studio-style dwellings of roughly the same dimensions and structured similarly. 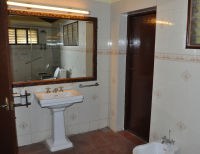 They have one large room with a kichenette section and a spacious attached bath and toilet. Each dwelling also has a covered sit out with comfortable deck chairs. 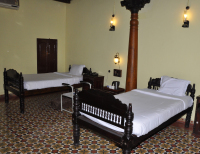 The cottages are fully furnished with teak/rose wood tables, chairs, cots and shelves. The rooms are air conditioned, have televisions and wi-fi connection. An intercom connects each room to the main board. ​The kitchenette has a microwave oven, a mini fridge and a coffee kettle. A washing machine is provided in the bathroom. The entire living area is designed with accessibility in mind. There are ramps to all places including the rooms so there is no need to use stairs anywhere. There are safe guards and rails at the sit-outs and external areas as well as grab bars, shower chairs, toilet raisers and safety railings in the bathrooms. 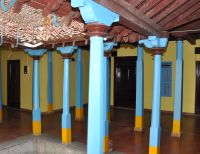 The kitchen and dining area are housed in a separate section modelled like a traditional south Indian mud house. The dining area is spacious and airy with ample space to do lot more than just eat. A sheltered verandah runs along 3 sides of the dining area providing space and opportunity to chit-chat and play games during the cooler part of the day. A nursing station, Doctor consultancy room, and a massage room complete the facilities in the main retirement community area. ​Other facilities including a swimming pool, restaurant, bar, banquet hall are available for use at the paradise resort next door. A good 80% of the facility is open area with a wide variety of trees. For those inclined towards gardening, there are literally acres waiting to be converted into flower gardens and vegetable patches. Unlike other traditional retirement communities that insist on residents buying the property, Paradise Village allows potential residents to lease out their cottages on long-term basis. Based on availability, Paradise Village also allows potential residents to stay at their full-service cottages for short periods of 2 weeks to a month on a “try before leasing” basis so that potential occupants can experience and appreciate all the facilities available first-hand before making the decision.